Love your colours and the sentiment is very clever ! 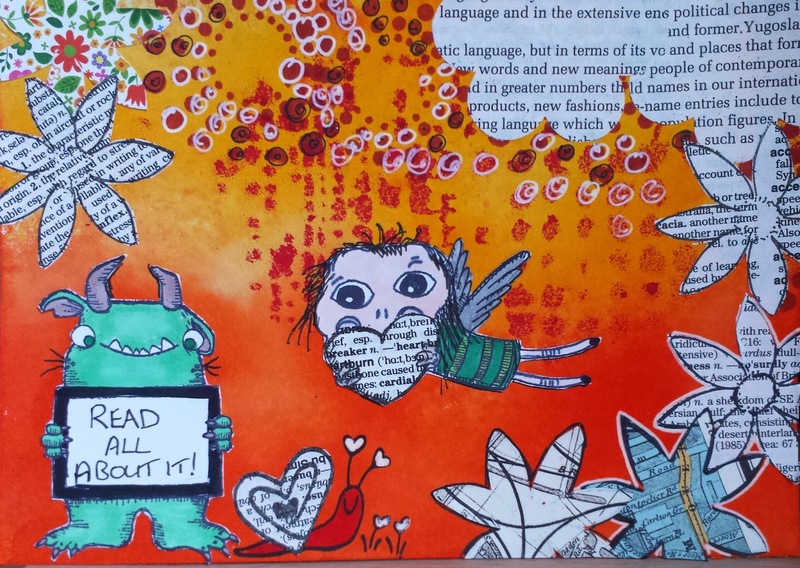 Thank you for playing along with my 'Booktext' challenge this week ! I love the colours you've used , perfect for cheering us up on cold grey days. Fab! Thanks for joining us again this week at Stampotique. Sweet card Helen. Love it all !! Great background and colors, Helen! Of course, the images are perfect, too. Yet it is the sign Monster is holding that captures my attention--and heart! Well composed piece! 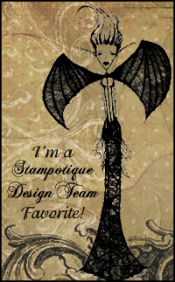 Thanks so much for participating in the Stampotique Designers' "book text" challenge!